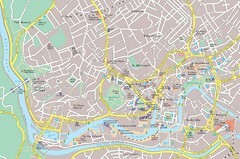 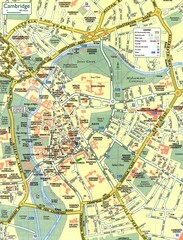 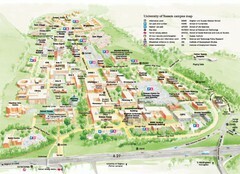 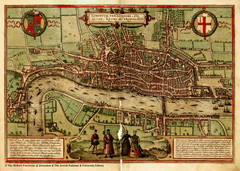 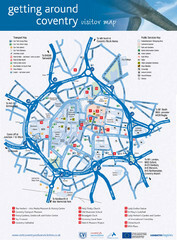 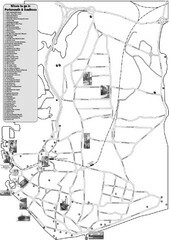 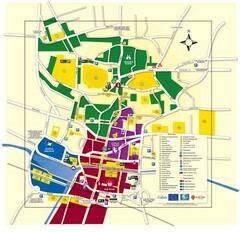 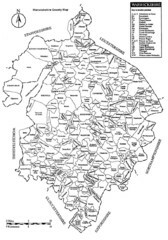 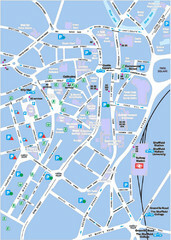 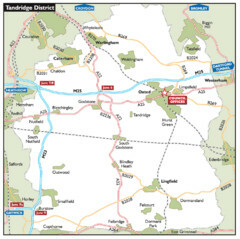 Tourist map of Woking, Surrey, England. 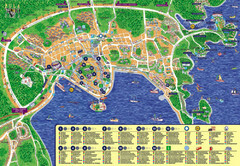 Oblique/3D town map with ads. 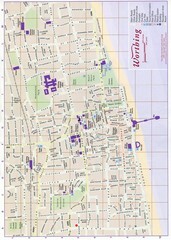 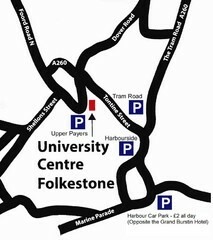 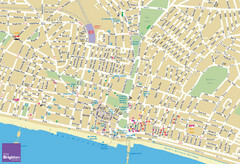 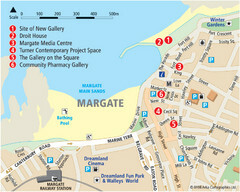 Tourist map of Margate, England. 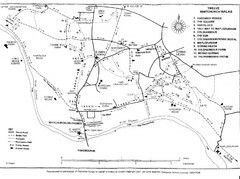 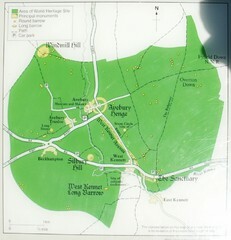 Tourist map of Avebury, England. 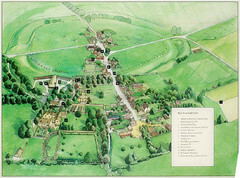 Shows Avebury Henge. 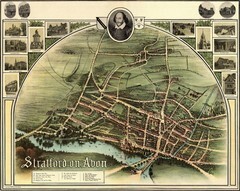 From photo. 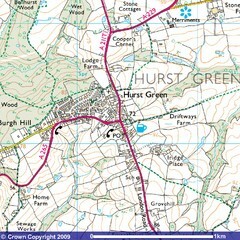 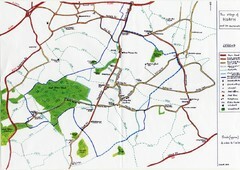 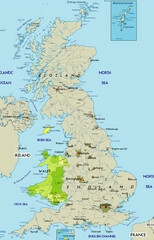 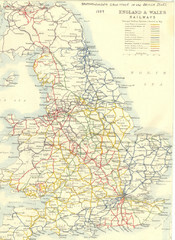 Map of Avebury, England showing World Heritage Site and surroundings. 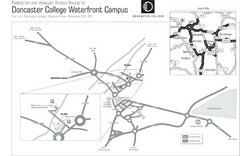 From photo. 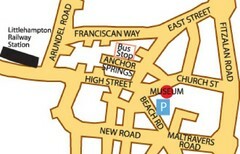 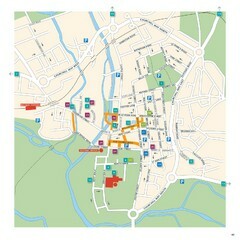 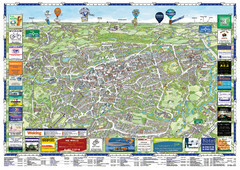 Tourist map of central Salisbury, UK. 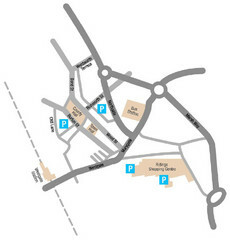 Shows parking and key for points of interest.